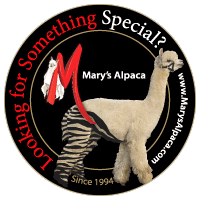 Proudly co-owned with Alpacas de la Patagonia. 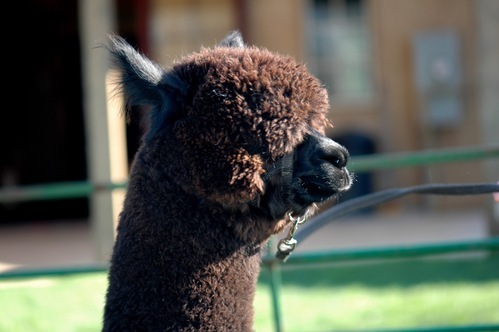 Patagonia's Vasco is a beautiful black male sired by the exotic, Patagonia's Neruda. 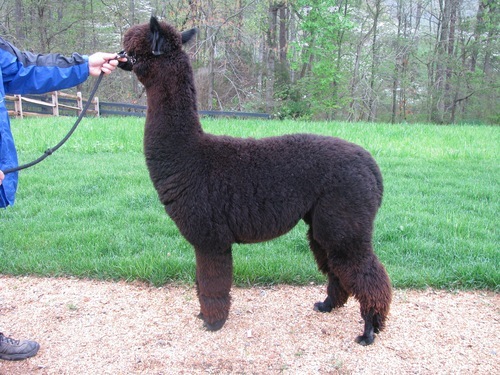 Vasco has a beautiful fleece that is fine and full of tight crimp. 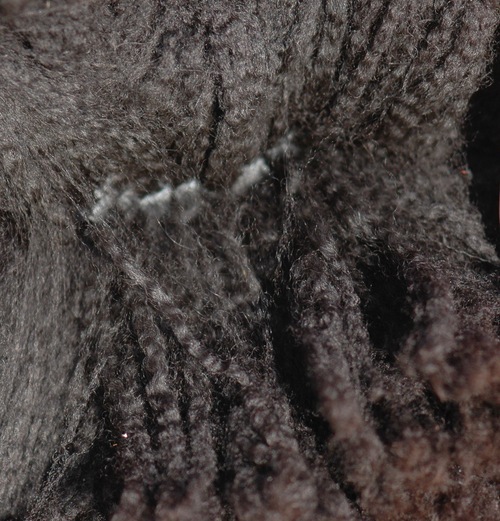 A skin biopsy by Dr. Evans ranked Vasco in the top 1% in density (70 follicles SQMM. SP ratio: 13 to 1). 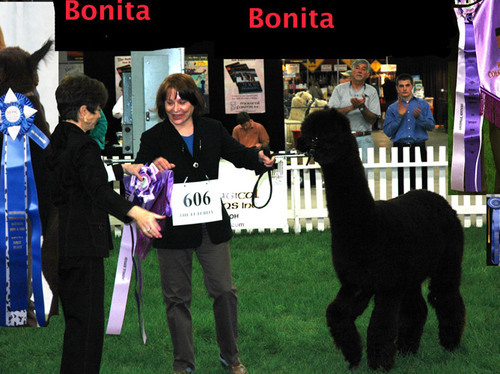 Discounts offered for multiple breedings. 2005: AFD=19, SD=4.1, CV=21.8%, >30=1.1% (70 follicles SQMM. SP ratio: 13 to 1). Exceptional quality foundation female! 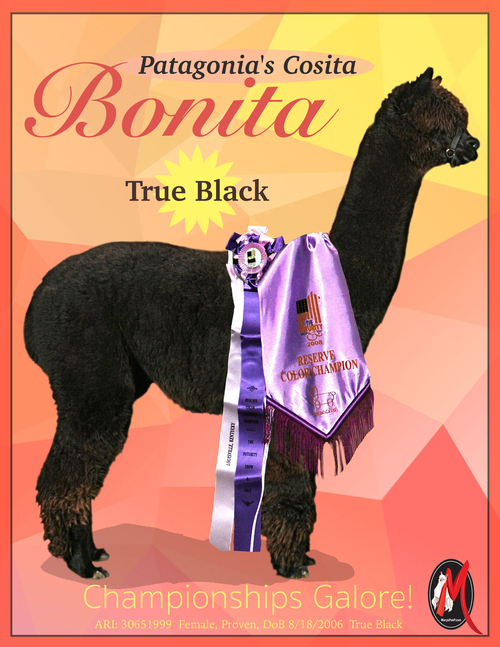 Bonita is such a rich true black color that she can be difficult to photograph. 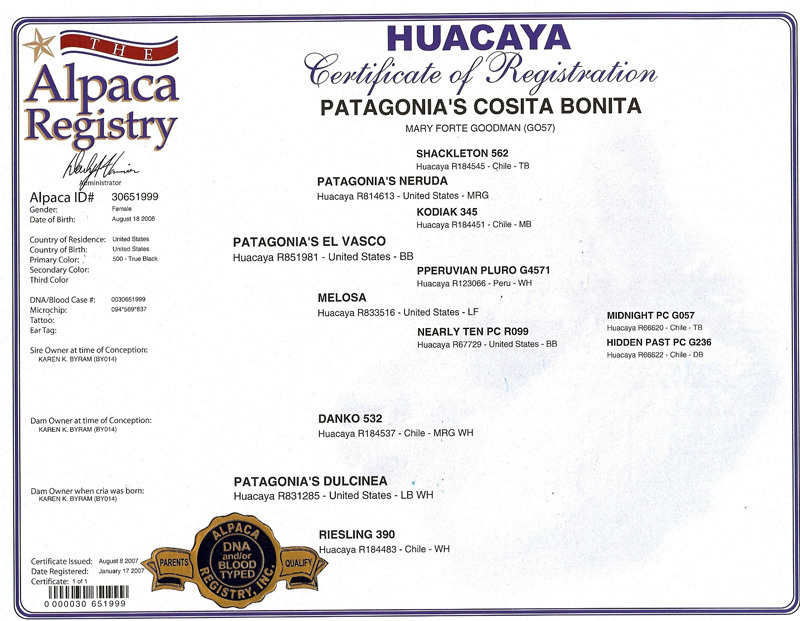 Not only does this wonderful huacaya female have a stunning head and confirmation, she will bring lots of colour (including grey) to your breeding program. She is also a wonderful mother and milker. When Bonita had her babies she immediately knows what to do. 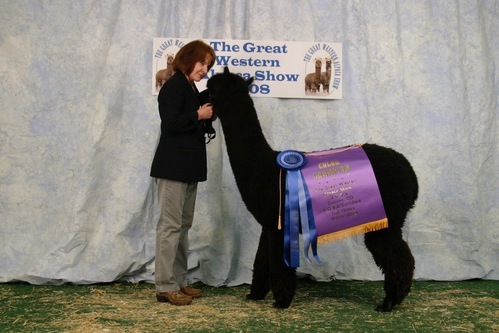 She is quite an amazing animal! 50% down - balance due within 6 months in 6 equal payments.